3 Things to do to Prepare for Dental Emergencies While Traveling Abroad - Capital Periodontal Associates, P.A. By Capital Periodontal Associates, P.A. Vacationing abroad can be the trip of a lifetime — or a nightmare if you have a medical or dental emergency while traveling. Dental care in many locations around the world can be limited, expensive or even dangerous. Here are 3 important things you should to do to prepare for a possible dental emergency during that dream vacation in a foreign country. Have a complete checkup, cleaning and necessary dental work before you leave. Whoever said, “An ounce of prevention is worth a pound of cure,” must have been a traveler. Better to take care of problems beforehand than have them erupt into an emergency far from home. Be sure especially to have decayed or cracked teeth repaired, as well as any planned dental work like root canal treatments before you go. This is especially important if you’re flying — high altitudes can increase pressure and pain for many dental problems. Research your destination’s available dental and medical care ahead of time. Standards and practices in other countries can differ from those in the United States, sometimes drastically. Knowing what’s available and what’s expected in terms of service and price will help immensely if you do encounter a health emergency while traveling. A good starting place is A Traveler’s Guide to Safe Dental Care, available at www.osap.org. Know who to contact if you have a dental emergency. 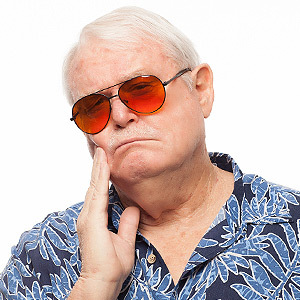 While it may be frightening having a dental issue in a strange place, you’re not alone — there are most likely a number of fellow Americans in your location who can help. Have contact information ready for people you know or military personnel living in your locale, as well as contacts to the American Embassy in that country. And if you’re staying in a hotel, be sure to make friends with the local concierge! It’s always unsettling to have a dental emergency, but especially so when you’re far from home. Doing a little preparation for the possibility will help lessen the stress if it happens and get you the help you need.